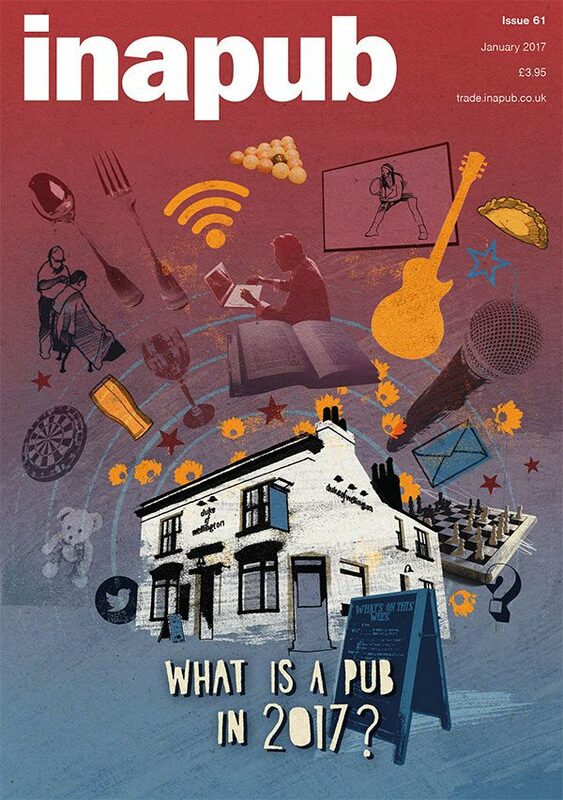 Further food/drink/pub-based endeavours, this time for Inapub Magazine. There’s all sorts of stuff going on in pubs these days (even haircuts), and it was great fun to represent all the variety and get stuck into a lively digital collage adventure alongside some line drawing, messy paint and even a bit of hand lettering! Made me want a pint and a game of pool though – one small drawback to these kind of commissions!